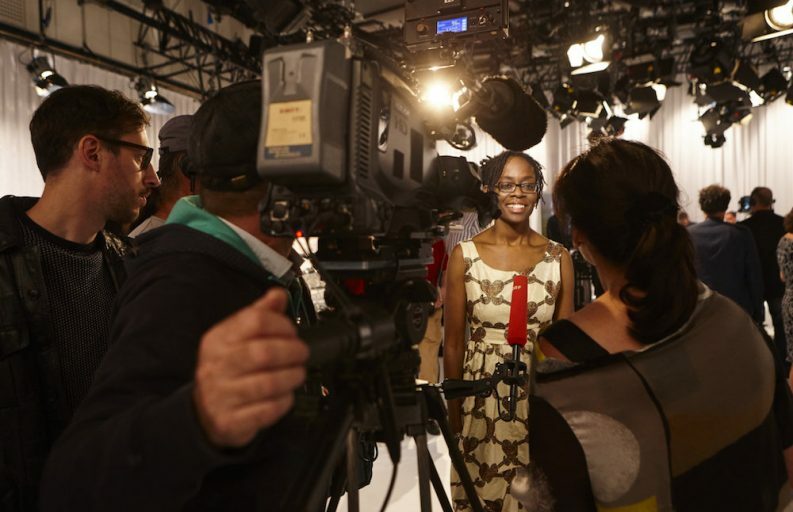 Born in London and now living in Berlin, author Sharon Dodua Otoo wins the prestigious Ingeborg Bachmann Prize in Klagenfurt, Austria during the 40th Festival of German Language Literature. Each year, the German-speaking literary scene comes together in idyllic Klagenfurt, Austria for the Festival of German Language Literature, a three-day competition to determine the winner of the Ingeborg Bachmann Prize. This year, the prize, which is one of the most important awards for literature in the German language, goes to Sharon Dodua Otoo, a British author living in Berlin. Her story, “Herr Gröttrup setzt sich hin” (“Mr. Gröttrup sits down”), partly written from the perspective of a breakfast egg, fascinated the jury for its satirical perspective of a German couple and their breakfast ritual. The story reminded jury members, they said, of the work of German comedian Loriot and author Thomas Bernhard. Otoo, who describes herself as “a Black British mother, activist, author and editor,” became involved in the Black Germany community shortly after she moved to Germany in 2006, according to an interview she gave to Young Germany. Otoo is the editor of book series, Witnessed (published by Edition Assemblage), “written by Black authors aimed primarily at an international audience,” said Otoo. “It is also a platform where Africans in the diaspora can share and compare their experiences of living in Germany.” Otto has also published two novellas with Edition Assemblage and has written several short stories. In order to be eligible for the prize, all texts must be written in German and unpublished. Fourteen authors compete during the reading marathon and need to win over a jury of seven members to receive the 25,000-euro prize ($28,000). In addition to the Ingeborg Bachmann Prize, three more prizes were awarded during the festival. Swiss author Dieter Zwicky won the Kelag-Prize (10,000 euros) for his story “Los Alamos ist winzig” (“Los Alamos is tiny”); German author Julia Wolf won the 3sat-Preis (7,500 euros) for her story “Walter Nowak bleibt liegen” (“Walter Nowak doesn’t get up”); and Austrian author Stefanie Sargnagel impressed the audience for the audience with her story “Penne vom Kika” to win the BKS-Bank-Publikumspreis (7,000 euros). All stories and the jury’s discussion can be found on the ORF website (Austrian TV).